As soon as the first robot arrived at a FedEx shipping hub in the heart of North Carolina tobacco country early last year, talk of pink slips was in the air. 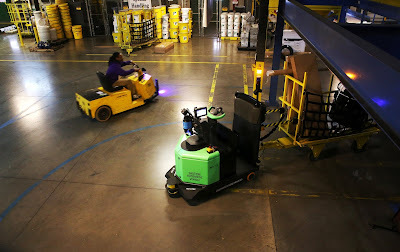 The robot team, part of the automation trend rippling through the worlds of shipping and online retailing, was the first significant deployment of mobile robots inside a FedEx hub. Amazon and our e-commerce shopping habits are big reasons it’s happening.In 2012, Amazon acquired a robotics company called Kiva. 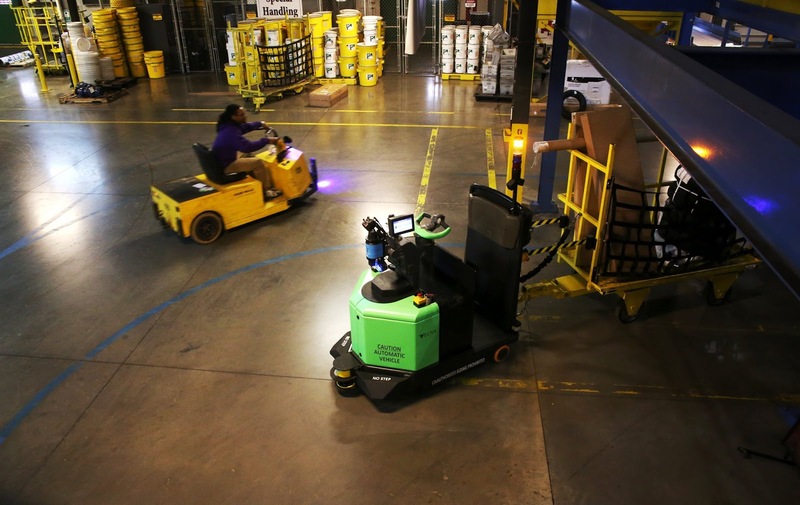 Since then, it has moved many of that company’s robots into its network of more than 210 fulfillment and package-sorting centers. Now, many Amazon partners and competitors are moving in the same direction, including big shipping and logistics operations like FedEx and DHL.